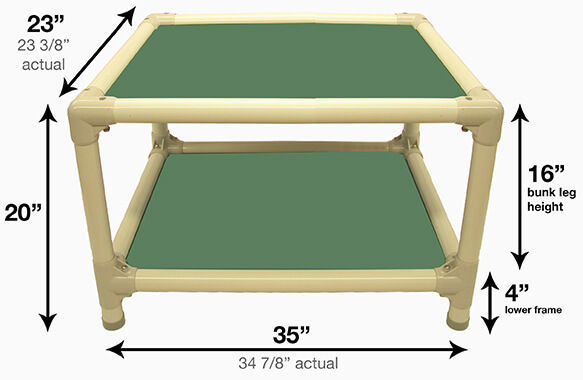 Toy 25 1/8" L x 18" W. Lower Frame Height: 4" Bunk Leg Height: 12.5"
Small 30" L x 20 1/8" W. Lower Frame Height: 4" Bunk Leg Height: 12.5"
Medium 34 7/8" L x 23 3/8" W. Lower Frame Height: 4" Bunk Leg Height: 16"
Large 39 7/8" L x 25 7/8" W. Lower Frame Height: 4" Bunk Leg Height: 19"
What is better than one Kuranda dog bed? Two! The new bunk bed is the perfect solution for limited floor space for multiple dogs. They can enjoy the orthopedic comfort from the top dog view, or the security of the lower bunk. The bunks, which are a little higher with each bed size are specially designed at optimum shoulder height for dogs to jump onto. The patented chewproof poly resin frame has a track the fabric slides into to safely protect it from chewing dogs. Comes with Cordura fabric, it looks and feels like canvas but wears like iron. Our most durable option, ideal for giant breeds and destructive dogs. Non-absorbent, solid material, just spray and wipe dry. Abrasion resistant high-denier nylon with a smooth finish that makes it easy to clean. Lovely, sewn fabric is attractive in the home. Abrasion resistant high-denier nylon but without the smooth finish making it ideal for older dogs as it provides plenty of traction getting on and off the bed. Best fabric choice for dogs with sensitive skin or allergies. Great for outdoor use and incontinent dogs. Open, waterproof weave allows air and water to flow through, helping dogs stay cool and dry. Protected against UV rays. Not covered under our chew proof warranty. *All of our fabrics and beds can be washed or hosed clean with soap, water and/or disinfectants. 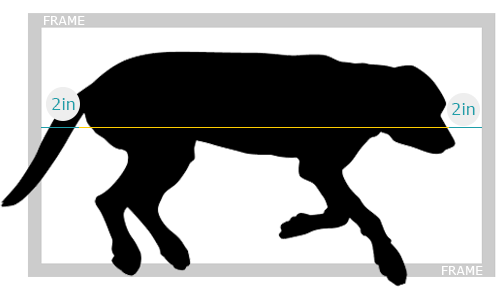 We recommend measuring your dog from nose to the base of the tail and add 4 inches to find the best fit. 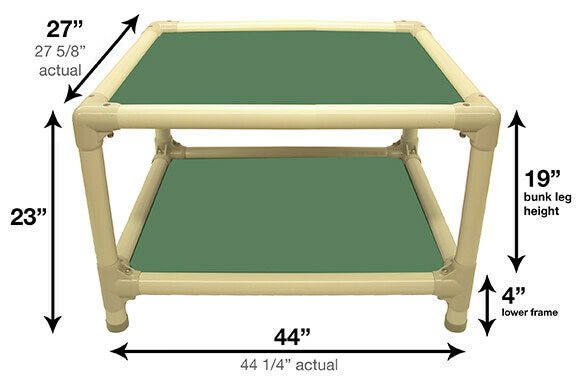 This gives your dog a little extra space to fit within the sides of the bed frame. Note: Replacement fabrics are based on the bed's assembled, external measurements. 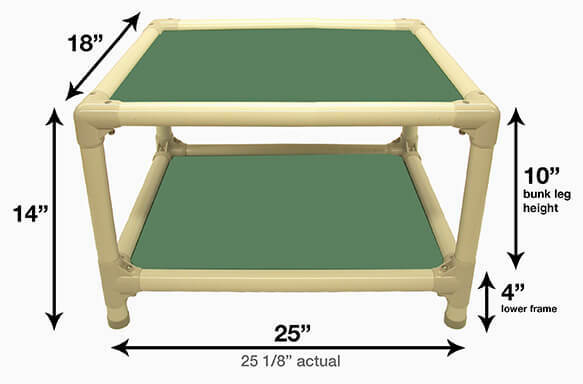 Do not use the bed's fabric area nor the unassembled fabric dimensions. Subtract 3.25" from length and width to determine the inner dimensions of the bed.